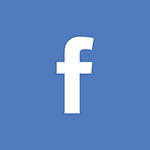 Download this image (PNG, 574 KB). [11-May-17] Illustration of the PACE observatory with solar panel (dark blue) stowed. In this perspective, the Ka-band antenna, which will transmit science data, is located at top. 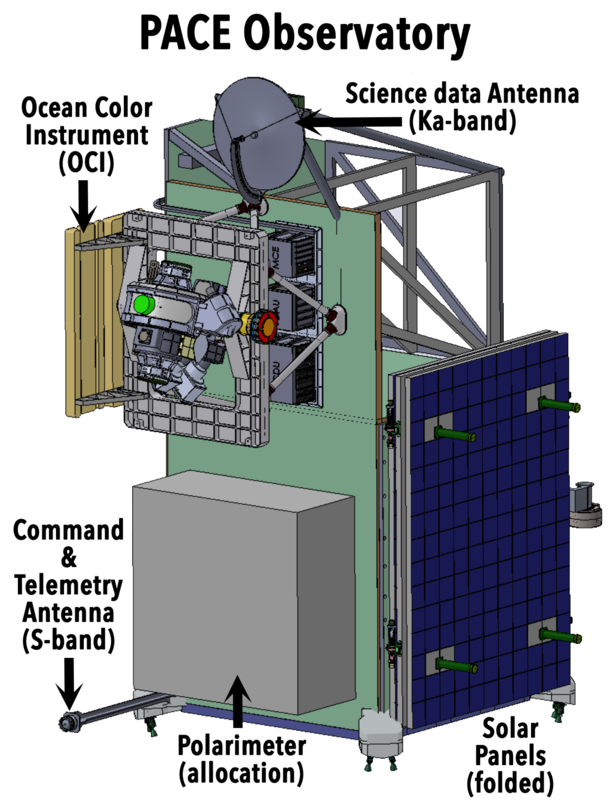 Just below is the Ocean Color Instrument, designed to collect hyperspectral data over the ocean and atmosphere of Earth. Overall observatory dimensions are 1.5 m by 1.5 m by 3.2 m (4.9 x 4.9 x 10.5 ft).